Postnatally you need yoga more than ever. 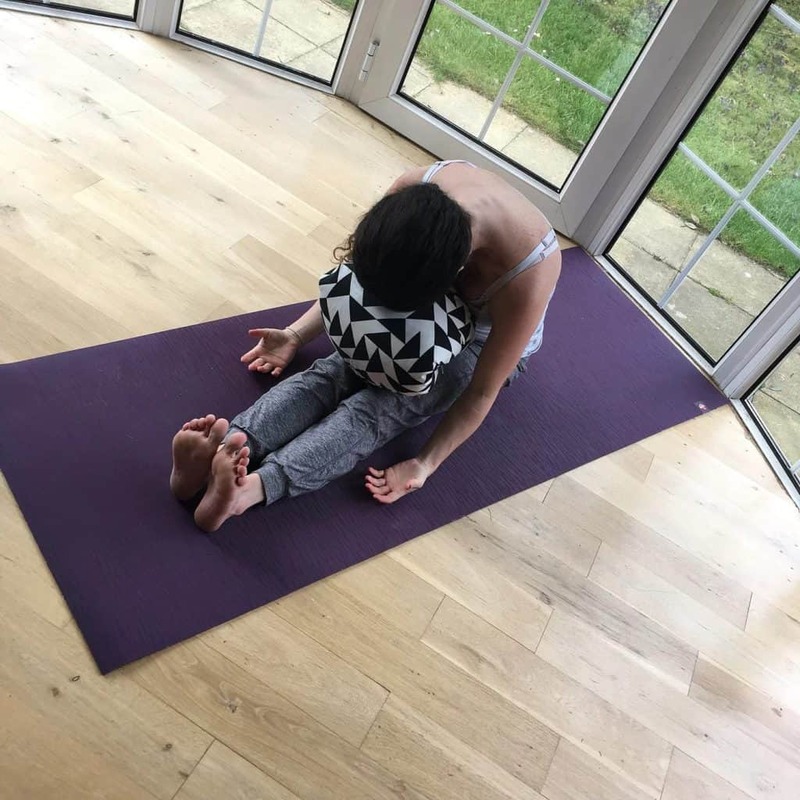 Here are a few restorative postures you can try between baby feeds and sleeps or if your little one is sleeping these postures are perfect for unwinding at the end of a busy day. These postures are specially chosen for the postnatal women, but can be enjoyed by both you and your partner and at any time of life. They concentrate on opening the upper back, lower back and feeling open across the front of the chest and shoulders. These areas often become tight and tired with feeding and holding baby for long periods. Follow the postures in this gallery of postures , find your breath, noticing the inhale travelling gently in through the nostrils , into the lungs and filling the side ribs, as you exhale relax and let go. Make sure you do at least 10 breaths in each posture and hold the postures for longer if you have time, letting go of worries and feel the tension melt away. The benefits of yoga postnatally are enormous, even having 5 minutes to breath and relax can do wonders for your energy levels. If your body feels relaxed your mind will relax and a happy mumma means a happier bubba. 1. Relined Baddha Konasana , it is nice to have a bolster cushion propped up on a few blocks laid length ways. Then you can recline along the bolster. Make sure your whole spine and head is supported by the bolster and add another cushion if need be. Turn the palms of your hands up and open the shoulders, breathing into the heart space and let go and relax the neck, shoulders and upper back as you exhale. 2. 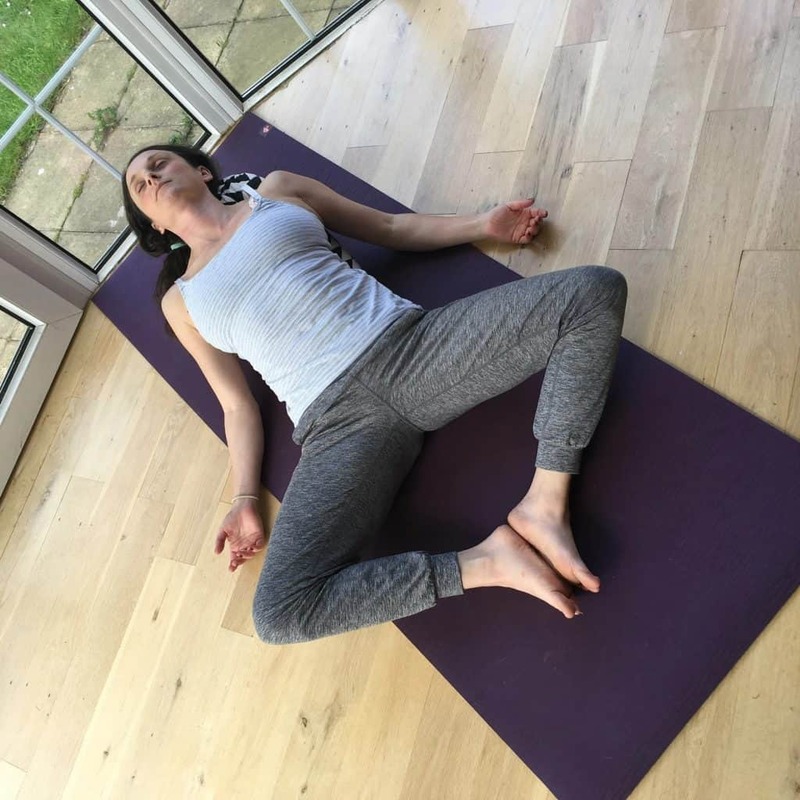 Paschimottonasana (Seated forward fold) , this is a lovely posture to relax and stretch out the lower back , neck shoulders and upper back. 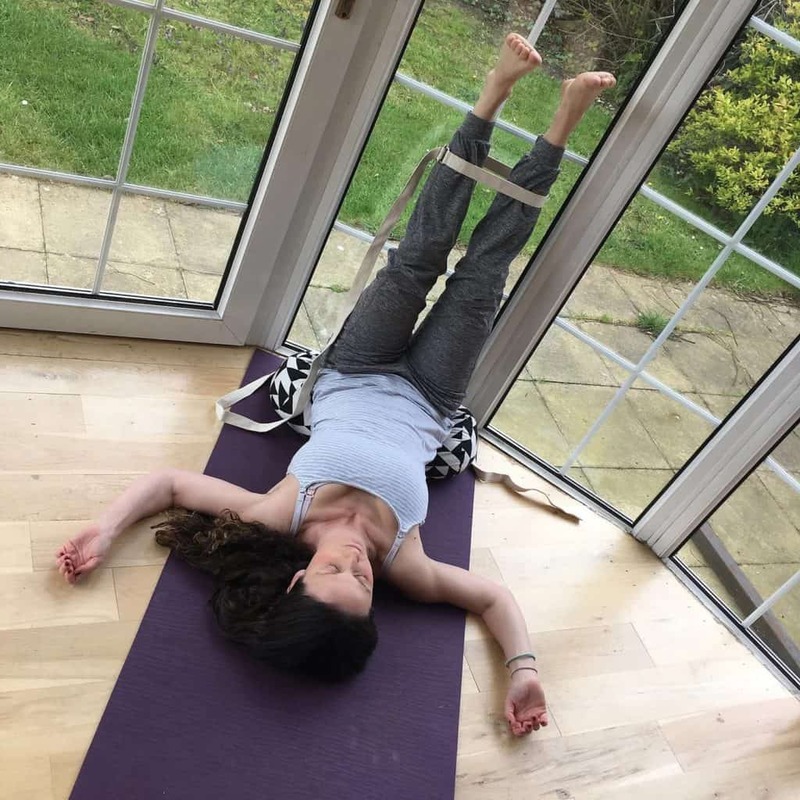 You can come into the posture with your legs out straight in front of you with your feet flexed but you may prefer to really let go of all tension and allow your feet to go floppy. It is nice to prop some pillows under the knees if your hamstrings (back of the thighs) are tight and a bolster or cushion on you legs to rest your head on. It is nice to let your upper back curve and neck to relax down, really letting go. 3. 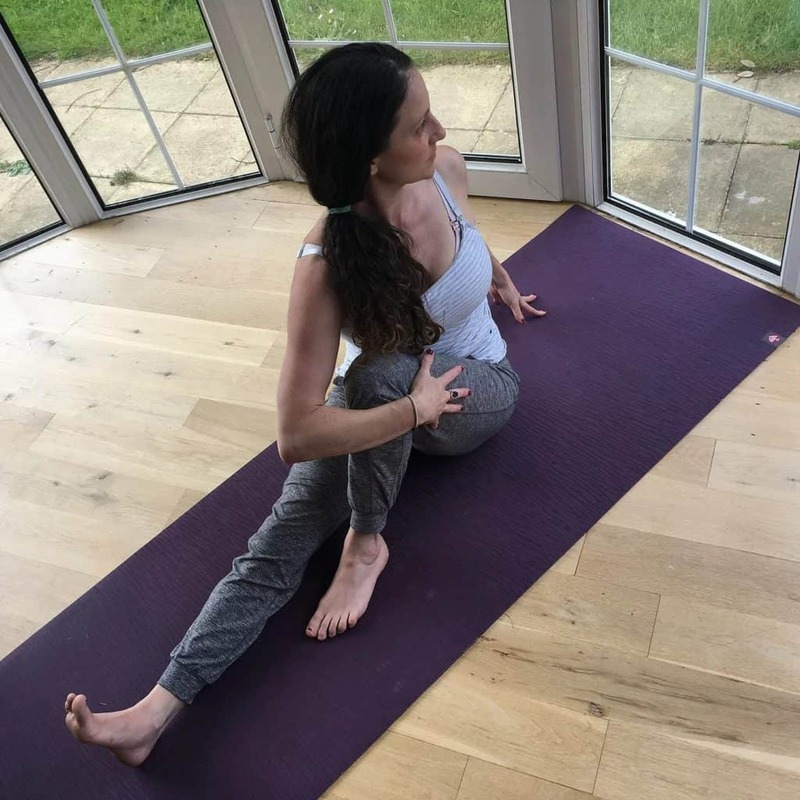 Ardha Mattendrasana (Seated Twist) , there are many variations of this posture, but keep it simple after you’ve had a baby. Your upper back is likely to feel tight from months of carrying a babay and then feeding or holding baby for long periods of time. This posture allows the upper back / thoracic spine to open and the front of the shoulders to have a good stretch. Emotionally it allows the heart space to open and gives you space for all the enormous amount of love and emotions you are carrying. 4. Viparita Karani (legs up the wall) The ultimate relaxation, enjoy your legs up the wall, perhaps with a cushion under your bottom. It is also nice to wrap a belt around your legs so that when they completely let go the legs can properly relax without falling down. This posture is great for the lower back and if you open your arms and turn the palms up you’ll enjoy a good shoulder opener also. Energetically legs up the wall allows vital energy to flow back into your centre , and gives your legs a good rest. It is said that legs up the wall for 10-20 minutes is as good as a power nap!